About Ovejita Be! - Ovejita Be! 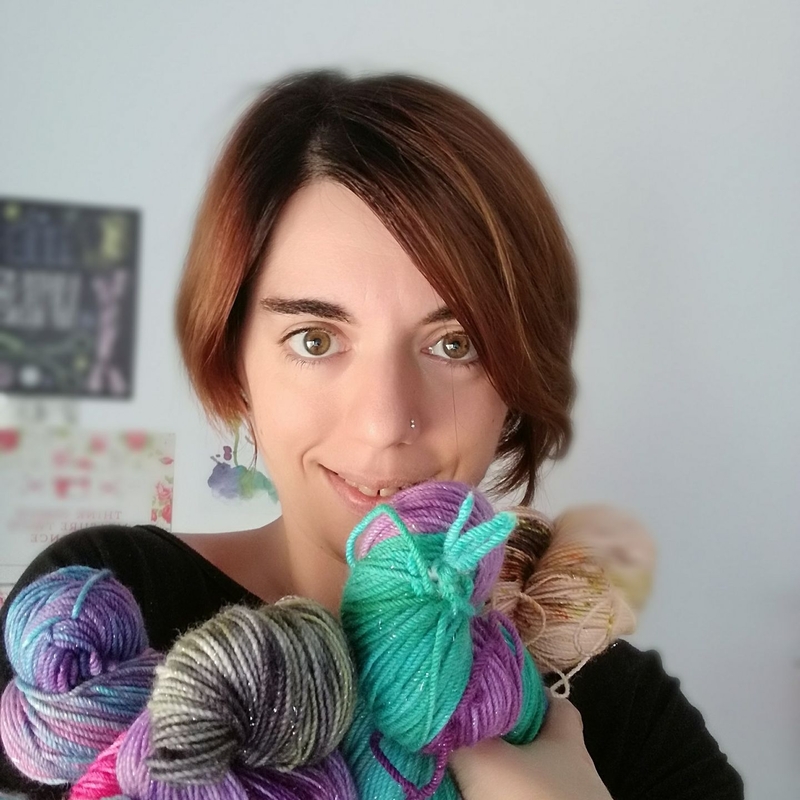 If you are a dreamer knitter or crocheter, and you don't think is a grandma's thing; if you see an oportunity to learn on every pattern and you visualizar an unique project in every colourway, you are in the right place! I create my hand dyed yarns searching the most special bases to achieve a colour explosion, making any garment different and opening a new world besides the commercial yarns. I also design acessories to tell the world your yarn love, like badges and mugs, locally produced in small quantities. My inspiration cames mostly from my childhood, I create with my hands since I can remember. I'm also inspired by memories, art and the nature surrounding us. 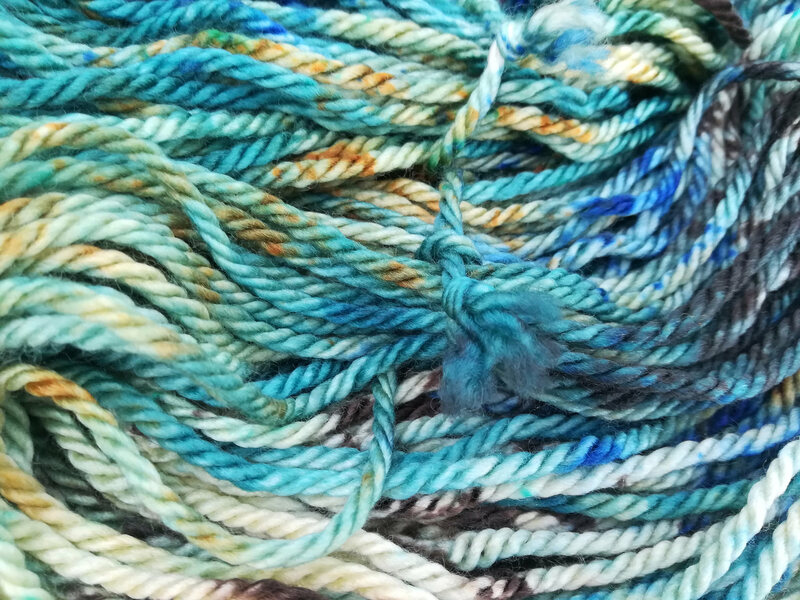 I studied Fine Arts; I was always pasionate about art and science, and with yarn dyeing I finally found the perfect connection of both worlds. From the start, I try to bring colour into this grey world. I want you to feel like a child again, playing with colours and shapes, creating something unique with yarns and patterns that you love. I create for you to create! I choose natural fibers bases (except for the little nylon and stellina content), and I search for softness, weight and the way they take the colours. Sourced in the European Union, from mulesing free farms, and dyed with environmentally friendly dyes. The cotton is from Spain, last process takes places almost locally, in Terrassa (Barcelona).